Properties: Crystals from acetonitrile, mp 189.5°. Poorly sol in water. Systemic fungal diseases (systemic mycoses) are typically chronic conditions that develop very slowly. These diseases are often induced by opportunistic causative fungi that are not normally pathogenic and commonly live in the patient’s body or are commonly found in the environment. While systemic fungal diseases used to be relatively rare in temperate countries, there has been an increasing incidence of numerous life-threatening systemic fungal infections that now represent a major threat to susceptible patients. Susceptible patients include immunocompromised patients, particularly those already hospitalized, and patients compromised by HIV infection, ionizing irradiation, corticosteroids, immunosuppressives, invasive surgical techniques, prolonged exposure to antimicrobial agents, and the like, or by diseases or conditions such as cancer, leukemia, emphysema, bronchiectasis, diabetes mellitus, burns, and the like. The symptoms manifested by these fungal diseases are generally not intense, and may include chills, fever, weight loss, anorexia, malaise, and depression. The most common systemic fungal infections in humans are blastomycosis, candidosis, aspergillosis, histoplasmosis, coccidioidomycosis, paracoccidioidomycosis, and cryptococcosis. Fungal diseases are often confined to typical anatomic sites, and many involve a primary focus in the lung, with more characteristic manifestations of specific fungal infections appearing once the infection spreads from a primary site. For example, blastomycosis primarily involves the lungs, and occasionally spreads to the skin. Similarly, the primary form of coccidioidomycosis occurs as an acute, benign, self-limiting respiratory disease, which can then progress to a chronic, often-fatal infection of the skin, lymph glands, liver, and spleen. Other infectious diseases such as paracoccidioidomycosis and candidiasis present in different manners, and depending on the etiology, may exhibit several forms involving internal organs, the lymph nodes, skin, and mucous membranes. Diagnosis of specific fungal diseases can be made by isolation of the causative fungus from various specimens, such as sputum, urine, blood, or the bone marrow, or with certain fungus types, through evidence of tissue invasion. Many patients suffering from severe systemic fungal infections are hardly, or not at all, able to receive medication via oral administration, as such patients are often in a coma or suffering from severe gastroparesis. As a result, the use of insoluble or sparingly soluble antifungals such as itraconazole free base, which are difficult to administer intravenously to treat such patients, is significantly impeded. Local or superficial fungal infections are caused by dermatophytes or fungi that involve the outer layers of the skin, nails, or hair. Such infections may present as a mild inflammation, and can cause alternating remissions and eruptions of a gradually extending, scaling, raised lesion. Yeast infections, such as candidiasis and oral candidiasis (thrush), are usually localized to the skin and mucous membranes, with the symptoms varying depending on the site of infection. In many instances, such infections appear as erythematous, often itchy, exudative patches in the groin, axillas, umbilicus, between toes, and on finger-webs. Oral thrush involves an inflamed tongue or buccal mucosa, typically accompanied by white patches of exudate. Chronic mucocutaneous candidiasis is manifested in the form of red, pustular, crusted, thickened lesions on the forehead or nose.Itraconazole or (±)-£is-4-[4-[4-[4-[[2-(2,4-dichlorophenyl)-2-(lH-l-2,4-triazol-l- ylmethyl)- 1 ,3-dioxolan-4-yl]methoxy]phenyl]- 1 -ρiperazinyl]phenyl]-2,4-dihydro-2-( 1 – methyl-propyl)-3H-l,2,4-triazol-3-one, is a broadspectrum antifungal compound developed for oral, parenteral and topical use and is disclosed in US-4,267,179. Its difluoro analog, saperconazole or (±)-_πs-4-[4-[4-[4-[[2-(2,4-difluorophenyl)-2- ( 1H- 1 ,2,4-triazol- 1-yl-methyl)- 1 ,3-dioxolan-4-yl]methoxy]phenyl] – 1 -piperazinyl]- phenyl]-2,4-dihydro-2-(l-methylpropyl)-3H-l,2,4-triazol-3-one, has improved activity against Aspergillus spp. and is disclosed in US-4,916,134. Both compounds exist as a mixture of four stereoisomers. The development of effϊcaceous pharmaceutical compositions of itraconazole and saperconazole is hampered considerably by the fact that said compounds are only very sparingly soluble in water. The solubility of both compounds can be increased by complexation with cyclodextrins or derivatives thereof as described in WO 85/02767 and US-4,764,604. cis-©,and the pharmaceutically acceptable acid addition salt forms thereof. The three asterisks indicate the three chiral centers, and ‘cis’ means that the (lH-l,2,4-triazol-l-ylmethyl) moiety and the substituted phenoxy moiety are located at the same side of the plane defined by the 1,3-dioxolane ring. 20 rotation [α]jj in 1% methanol (itraconazole; table I) (saperconazole; table H). Itraconazole is a broad-spectrum antifungal agent developed for oral, parenteral and topical use, and is disclosed in U.S. Patent No. 4,267,179. Itraconazole is a synthetic triazole derivative that disrupts the synthesis of ergosterol, the primary sterol of fungal cell membranes. This disruption appears to result in increased permeability and leakage of intracellular content, and at high concentration, cellular internal organelles involute, peroxisomes increase, and necrosis occurs. As set forth in the USP Dictionary of Drug Names and USAN, itraconazole is defined as 4-[4-[4-[4- [[2-(2,4-dichlorophenyl)-2-(lH-l,2,4-triazol-l-ylmethyl)-l,3-dioxolan-4-yl] methoxy]phenyl]-l-piperazinyl]phenyl]- 2,4-dihydro-2-(l-methylpropyl)-3H-l,2,4-triazol-3-one, or alternatively, as (±)-l-5ec-butyl-4-[/7-[4-[/7-[[(2R*,4S*)-2-(2,4-dichlorophenyl)-2-(lH-l,2,4-triazol-l-ylmethyl)-l,3-dioxolan-4-yl]methoxy]phenyl]-l-piperazinyl]phenyl]-Δ2-l,2,4-triazolin-5-one. There are three asymmetric carbons in itraconazole: one in the sec-butyl side chain on the triazolone and two in the dioxolane ring. 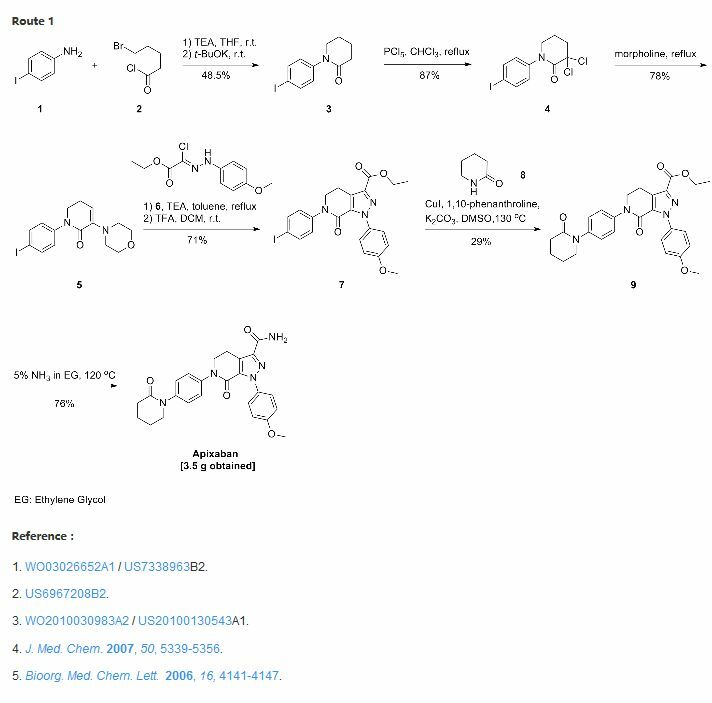 As a result, eight possible stereoisomers of itraconazole exist: (R,R,R), (S,S,S), (R,R,S), (S,S,R), (R,S,S), (R,S,R), (S,R,S), and (S,R,R). 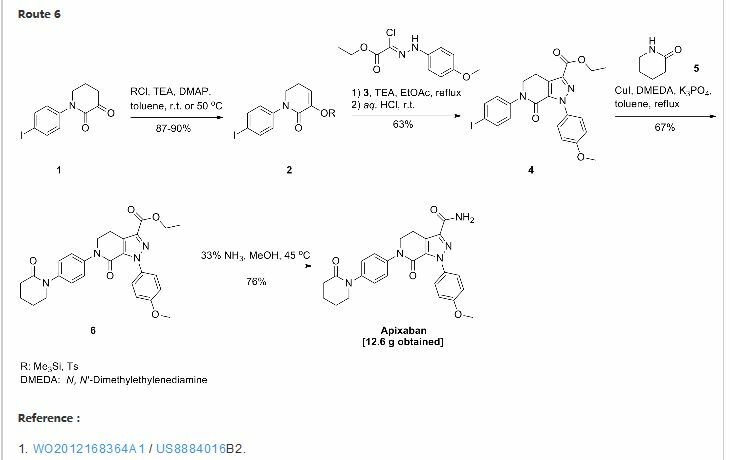 (±)Cz‘s-Itraconazole comprises a mixture of only those isomers that describe a “cis” relationship in the dioxolane ring, i.e., the (1Η-1, 2, 4-triazol-l-ylmethyl) moiety and the substituted phenoxy moiety are located on the same side of a plane defined by the 1, 3-dioxolane ring. By convention, the first represented chiral center is at the C-2 position of the dioxolane ring, the second is at the C-4 position of the dioxolane ring, and the third is in the sec-butyl group. Hence, (±)c.s-itraconazole is a mixture of (R,S,S), (R,S,R), (S,R,S) and (S,R,R) isomers. diastereomeric pairs thereof, are described in more detail in U.S. Patent Nos. 5,474,997 and 5,998,413. In general, the individual stereoisomeric forms of c s-itraconazole have antifungal properties, and contribute to the overall activity of (±)cw-itraconazole. (±)Ciy-Itraconazole free base is only very sparingly soluble in water, and thus it is extremely difficult to prepare effective pharmaceutical compositions containing the same. A number of means have been used to increase the solubility of itraconazole free base, including complexing or co-formulation with cyclodextrins or derivatives thereof, as described in U.S. Patent No. 4,764,604, U.S. Patent No.5,998,413, and U.S. Patent No. 5,707,975, and coating beads with a film comprising a hydrophilic polymer and itraconazole, as described in U.S. Patent No. 5,633,015. (R,S,R)), as described in U.S. Patent Nos. 5,414,997 and 5,998,413. SPORANOX has been approved for use as an antifungal agent for treating immunocompromised and non-immunocompromised patients having: blastomycosis (pulmonary and extrapulmonary); histoplasmosis, including chronic cavitary pulmonary disease and disseminated non-meningeal histoplasmosis; and aspergillosis. In addition, in non-immunocompromised patients, it has been approved for treatment of onychomycosis. See generally, Physician ‘s Desk Reference, 56th ed. (2002). The compound has also been investigated for use in coccidioidomycosis, cryptococcosis, dermatophyte, and candidiasis infections. Adverse effects associated with the administration of (±)cts-itraconazole free base include nausea, vomiting, anorexia, headache, dizziness, hepatotoxicity, and inhibition of drug metabolism in the liver, leading to numerous, clinically significant, adverse drug interactions. See, Physician ‘s Desk Reference, 56th ed. (2002); Honig et al., J. Clin. Pharmacol. 33:1201-1206 (1993) (terfenadine interaction); Gascon and Dayer, Eur. J. Clin. 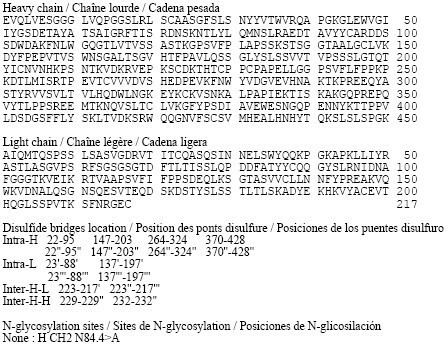 Pharmacol., 41_:573-578 (1991) (midazolam interaction); and Neuvonen et al, Clin. Pharmacol. Therap., 60:54-61 (1996) (lovastatin interaction). Reactions associated with hypersensitivity, such as urticaria and serum liver enzymes elevation, are also associated with the administration of the drug. A more serious, though less common, adverse effect is hepatotoxicity. See, e.g., Lavrijsen et al., Lancet, 340:251-252 (1992). In addition, as discussed herein, c/s-itraconazole free base is only very sparingly soluble in water. Thus, due to its relative non-polarity and insolubility, itraconazole free base suffers from two other drawbacks: it cannot be readily formulated in parenteral solution, and it does not effectively penetrate the blood-brain barrier. The latter problem is exacerbated by drug interactions, such as one observed between itraconazole free base and valproate, as described in Villa et al. , Rev. Inst. Med. Trop., Sao Paulo, pp. 231-234 (Jul-Aug 2000), which is incorporated by reference herein in its entirety. In another case of CNS fungal infection, extremely high doses of itraconazole free base were used to treat residual aspergillus infection, as reported by Imai et al., Intern. Med, 38(10):829-832 (1999), which is incorporated by reference herein in its entirety. As a result, numerous therapeutic indications that require rapid achievement of effective blood levels or access to the CNS are difficult to treat or beyond treatment with itraconazole free base. Furthermore, the emergence of antifungal resistance (e.g., in Aspergillus fumigatus isolates as described by Dannaoui et al., J. Antimicrob. Chemother., 47:333-340 (2001), which is incorporated by reference herein in its entirety) presents an added challenge to the efficacy of itraconazole free base. 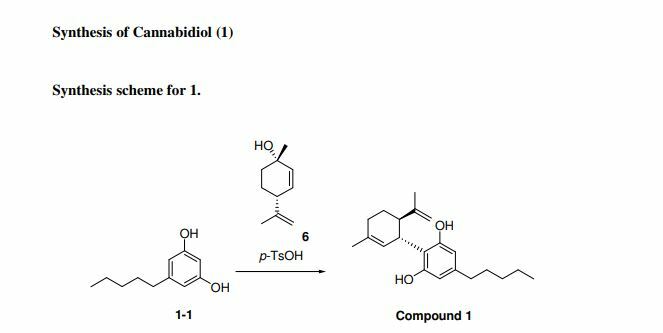 For those strains of fungi that show resistance, high and relatively constant levels of itraconazole free base must be produced in the target organs of infected patients. Over the years, a number of formulation routes have been used in order to enhance the adsorption and bioavailability of itraconazole. For example, the currently marketed SPORANOX® solid dosage capsule form of itraconazole free base utilizes sugar-based beads coated with a hydrophilic polymer and an amorphous film of itraconazole. See Physicians Desk Reference, 56th ed., pp.1800- 1804 (2002); and U.S. Patent No. 5,633,015. This dosage form requires up to two capsules three times daily depending on the condition being treated. Desk Reference, 56th ed., pp. 1800-1804 (2002). Thus, it would be desirable to increase bioavailability and adsorption and decrease the per-dose pill count and decrease dosing frequency (e.g., twice a day to once a day) associated with administration of itraconazole in order to provide an improvement over current therapy, particularly with regard to patient compliance, convenience, ease of ingestion, especially with regard to immunocompromized polypharmacy patients (e.g., AIDS or cancer patients). Consequently, there is a need for soluble forms of conazoles including cis itraconazole, posaconazole and saperconazole that can be readily formulated for use in various modes of administration, including parenteral and oral administration. A. Preparation of intermediates: Example 1a) utilizing water separator, by 200 parts of glycerin, 90 parts of 1- (2,4-difluorophenyl) -2- (1H-1,2,4- three mixture of 1-yl) ethanone, 600 parts of methanesulfonic acid, 190 parts of benzene was stirred first at reflux for 3 hours, then stirred at room temperature overnight. The reaction mixture was added dropwise a solution of sodium bicarbonate. The product was extracted with chloroform, the extract was washed with water, dried, filtered and evaporated. With 4-methyl-2-pentanone and the residue triturated product was filtered off and dried, yielding 80 parts (67.2%) (cis + trans) -2- (2,4-difluorophenyl) -2- (1H-1,2,4- triazol-1-ylmethyl) -1,3-dioxolane-4-methanol (intermediate 1). b) by 69 parts of 3,5-dinitrobenzoyl chloride, 80 parts of (cis + trans) -2- (2,4-difluorophenyl) -2- (1H-1,2,4- triazol-1-ylmethyl) -1,3-dioxolane-4-methanol, 400 parts of pyridine and 520 parts of dichloromethane was stirred at room temperature for 3 hours. The reaction mixture was evaporated, and the residue was dissolved in water. The product was extracted with chloroform. The extract was dried, filtered and evaporated. The residue was subjected to silica gel column chromatography, eluting with chloroform / methanol (99:1v / v). Pure fractions were collected, the eluent was evaporated, to give 90 parts (70.4%) of cis -2- (2,4-difluorophenyl) -2- (1H-1,2,4- triazol-1 ylmethyl) -1,3-dioxolane-4-methanol 3,5-dinitrobenzoate (residue) (intermediate 2). c) by 90 parts of (cis) -2- (2,4-difluorophenyl) -2- (1H-1,2,4- triazol-1-ylmethyl) -1,3-dioxo- dioxolan-4-methanol 3,5-dinitrobenzoate, 16 parts of 50% sodium hydroxide solution, 800 parts of 1,4-dioxane, 400 parts of water and the mixture was stirred at room temperature overnight. The reaction mixture was poured into water and the product was extracted with dichloromethane, extracts washed with water, dried, filtered and evaporated. With 4-methyl-2-pentanone and the residue triturated product was filtered off and dried, yielding 30 parts (56.0%) of cis -2- (2,4-difluorophenyl) -2- (1H-1, 2,4-triazol-1-ylmethyl) -1,3-dioxolane-4-methanol (residue) (intermediate 3). d) by 11.4 parts of methanesulfonyl chloride, 25 parts of cis -2- (2,4-difluorophenyl) -2- (1H-1,2,4- triazol-1-ylmethyl) -1, mixture of 1,3-dioxolane-4-methanol, 300 parts of pyridine, 390 parts of dichloromethane was stirred at room temperature for 3 hours. The reaction mixture was evaporated, and the residue was dissolved in chloroform. The organic phase was dried, filtered and evaporated. The residue was triturated with dipropyl ether. The product was filtered off and dried, yielding 29.4 parts (93.2%) of cis -2- (2,4-difluorophenyl) -2- (1H-1,2,4- triazol-1-ylmethyl) – 1,3-dioxolane-4-methanol methanesulfonate (residue) of intermediate 4). In a similar manner there were also prepared: cis-2- (2,4-difluorophenyl) -2- (1H- imidazol-1-ylmethyl) -1,3-dioxolane-4-methanol mesylate ethanedioate (1/1) (interm. 5). Example 2a) over 2 hours, dissolved in 100 parts of pyridine 121.2 parts of 2-naphthalenesulfonyl chloride was added dropwise to a stirred, was dissolved in 1300 parts of dichloromethane, and 122.0 parts of (cis + trans ) -2- (2,4-difluorophenyl) -2- (1H-1,2,4- triazol-1-ylmethyl) -1,3-dioxolane-4-methanol and 1.0 parts of N, N- dimethyl-4-pyridin-amine solution. Upon completion, stirring was continued at room temperature overnight. The reaction mixture was washed twice with water, and evaporated under reduced pressure. The residue was purified by silica gel column chromatography, eluting with chloroform. Pure fractions were collected, the eluent was evaporated. The residue was crystallized from 4-methyl-2-pentanone. 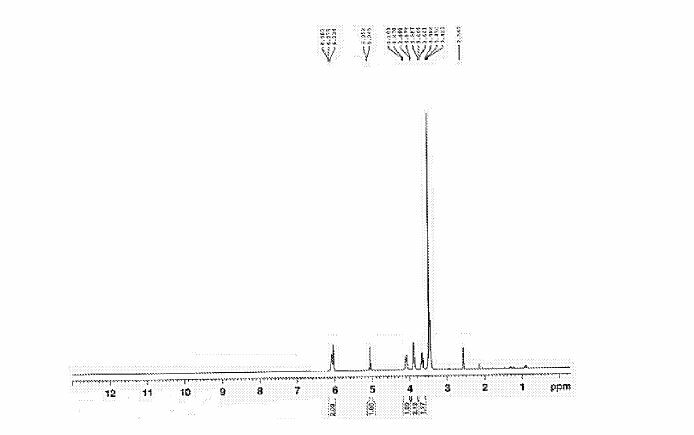 The product was filtered off and dried, yielding 102.3 parts (51.0%) of cis – [[2- (2,4-difluorophenyl) -2- (1H-1,2,4- triazol-1-yl-methyl ) -1,3-dioxolan-4-yl] methyl] -2-naphthalene sulfonate; mp139.5 ℃ (intermediate 6). 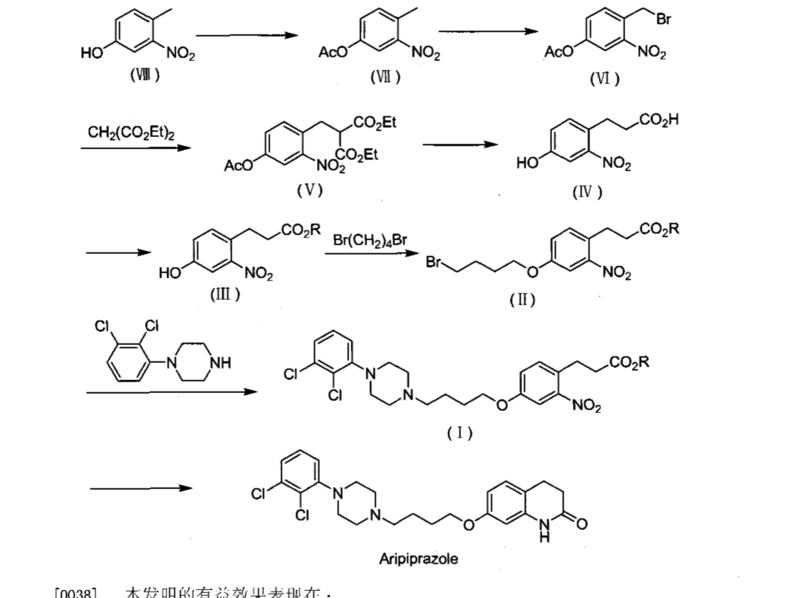 Example 3a) at 70 ℃, under nitrogen atmosphere, by 9.0 parts of 4- [4- (4-nitrophenyl) -1-piperazinyl] phenol, 13.6 parts of cis-2- [2,4- difluorophenyl) -2- (1H-1,2,4- triazol-1-ylmethyl) -1,3-dioxolane-4-methanol methanesulfonate ester, 6.0 parts of potassium hydroxide and 90 parts of a mixture of DMF was stirred overnight. After cooling, the reaction mixture was diluted with water. The precipitated product was filtered off and purified by silica gel column chromatography, the chloroform / ethyl acetate / hexane / methanol (500:300:200:0.5v / v / v / v) mixture as eluent. Pure fractions were collected, the eluent was evaporated. The residue was crystallized 4-methyl-2-pentanone. The product was filtered off and dried, yielding 6.69 parts (38.5%) of cis -1- [4 – [[2- (2,4-difluorophenyl) -2- (1H-1,2,4- triazol – 1- ylmethyl) -1,3-dioxolan-4-yl] methoxy) phenyl] -4- (4-nitrophenyl) piperazine; mp169.8 ℃ (Intermediate 7) . b) at atmospheric pressure, 50 ℃, with 2 parts of 5% palladium – on-charcoal catalyst by 38.3 parts of cis -1- [4 – [[2- (2,4-difluorophenyl) -2- (1H -1,2,4-triazol-1-ylmethyl) -1,3-dioxolan-4-yl] methoxy] phenyl] -4- (4-nitrophenyl) piperazine, 2 parts of a solution of thiophene (4% solution in methanol) and 600 parts of 2-methoxy-ethanol mixture. After absorption of the calculated amount of hydrogen finished, hot filtered to remove the catalyst, and the filtrate was saturated with water. After cooling, the precipitated product was filtered off, washed with water and 2-propanol and crystallized from 1,4-dioxane. The product was filtered off and dried, yielding 22.7 parts (62.6%) of cis-4- [4- [4 – [[2- (2,4-difluorophenyl) -2- (1H-1,2,4- triazol-1-ylmethyl) -1,3-dioxolan-4-yl] methoxy] phenyl] -1-piperazinyl] aniline; mp193.0 ℃ (interm. 8). Example 4a) by 10 parts of 2,4-dihydro-4- [4- [4- [4-methoxyphenyl) -1-piperazinyl] phenyl] -3H-1,2,4- triazol-3-one (U.S. Patent No. 4,267,179 in the implementation of the method in Example ⅩⅦ obtained), 1.5 parts of sodium hydride (50% dispersion), 300 parts of the mixture consisting of dimethyl sulfoxide, at 60 ℃ under a nitrogen atmosphere begging, stirring, until no bubble up. Was then added 5.24 parts of 2-bromopropane, and at 60 ℃, stirring was continued for 1 hour. Further added 1.5 parts of sodium hydride (50% dispersion) and stirring was continued until no more bubble up. Then 5.24 parts of 2-bromopropane was added, and the whole was stirred for 1 hour at 60 ℃. The reaction mixture was cooled, poured into water and the product was extracted with chloroform. The extract was washed with water, dried, filtered and evaporated. The residue was purified by silica gel column chromatography, eluting with chloroform / methanol (99:1v / v). Pure fractions were collected, the eluent was evaporated, the residue was crystallized in 1-butanol, yielding 5.2 parts (47% (2,4-dihydro-4- [4- [4- (4-methoxyphenyl ) -1-piperazinyl] phenyl] -2- (1-methylethyl) -3H-1,2,4- triazol-3-one; mp209.5 ℃ (intermediate 9). 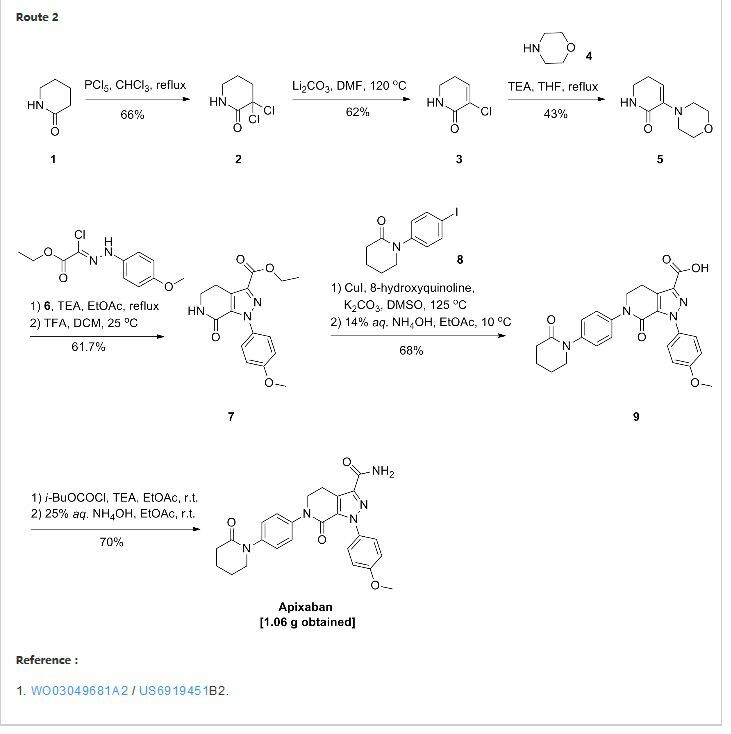 b) by 4.7 parts of 2,4-dihydro-4- [4- [4- (4-methoxyphenyl) -1-piperazinyl] phenyl] -2- (1-methylethyl) -3H-1,2,4- triazol-3-one, a mixture of 75 parts of 48% aqueous hydrobromic acid was stirred at reflux for 3 hours. The reaction mixture was evaporated, and the residue was dissolved in a mixture of methanol and water. With sodium bicarbonate solution, and the whole was, and the product was extracted with chloroform. The extract was dried, filtered and evaporated. The residue was triturated with 2-propanol, yielding 3.9 parts (86%) of 2,4-dihydro-4- [4- [4- (4-hydroxyphenyl) -1-piperazinyl] phenyl] -2 – (1-methylethyl) -3H-1,2,4- triazol-3-one, mp208.4 ℃ (intermediate 10). Orally active, fluorinated triazole antifungal. Prepn: J. Heeres et al., EP 283992; eidem, US 4916134 (1988, 1990 both to Janssen). D. W. Denning et al., Eur. J. Clin. Microbiol. Infect. Dis. 9, 693 (1990). In vivo efficacy vs Aspergillus species: J. Van Cutsem et al., Antimicrob. Agents Chemother. 33, 2063 (1989). By DR ANTHONY MELVIN CRASTO Ph.D in Phase2 drugs, Uncategorized on February 20, 2016 .